In Arnol village, Isle of Lewis, 11m NW of Stornoway on the A858. 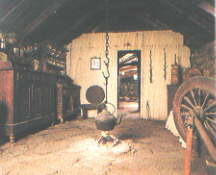 A traditional Lewis thatched house, fully furnished, complete with attached barn, byre and stockyard. A peat fire burns in the open hearth. 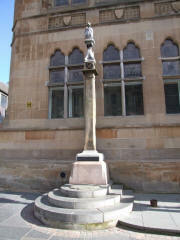 A cross-shaped setting of standing stones, unique in Scotland and outstanding in Great Britain. Dates to around 3000 BC. 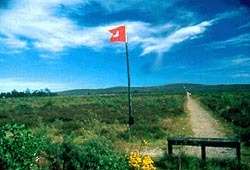 The visitor centre is managed by the Urras nan Tursachan. Site open all year seven days a week.. Visitor Centre closed Sunday. Open in summer from 10.00am to 7.00pm and from 10.00am to 4.00pm in winter. No name in Scottish history evokes more emotion than that of Culloden, the bleak moor which in 1746 saw the hopes of the young Prince Charles Edward Stuart crushed, and the end of the Jacobite Rising, the 'Forty-Five'. The prince's forces, greatly outnumbered by those of the brutal Duke of Cumberland, nevertheless went into battle with a courage which has passed into legend. One of the best preserved broch towers in Scotland. 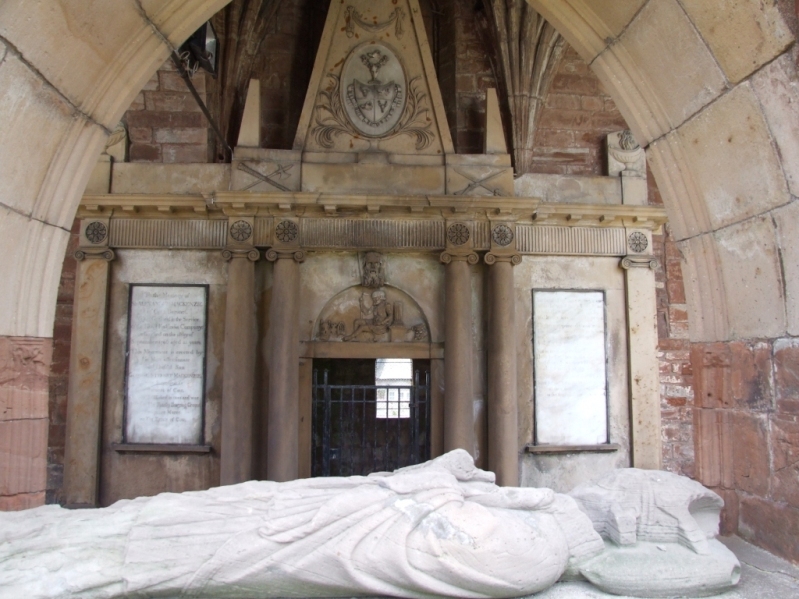 A fine 16th century church, built by the Alexander MacLeod of Dunvegan and Harris, and containing his richly-carved tomb. The remains of an enigmatic building of early prehistoric date. Eight and a half miles south east of Nairn. 27 NH 953 453. 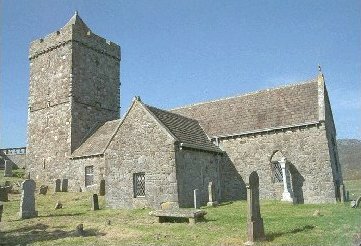 A remarkable little fortified bell tower built in 1655 on the hill above the parish church of Ardclach. The ruined church of a Valliscaulian priory, one of three founded in 1230. Much of the building was later reconstructed. Four miles south of Fort Augustus on the A82. 34 NH 338 035. This splendid suspension bridge was designed by James Dredge in 1854. It was built using a sophisticated patented design of double cantilevered chain construction with massive granite pylon arches at either end. A horned and chambered burial cairn. A typical Sutherland brooch, surviving to first-floor level, with associated settlement. The ruin of a very early Norse tower house on a spectacular site on a spine of rock projecting into the sea, between two deep, narrow gulleys. Visitors must take great care. 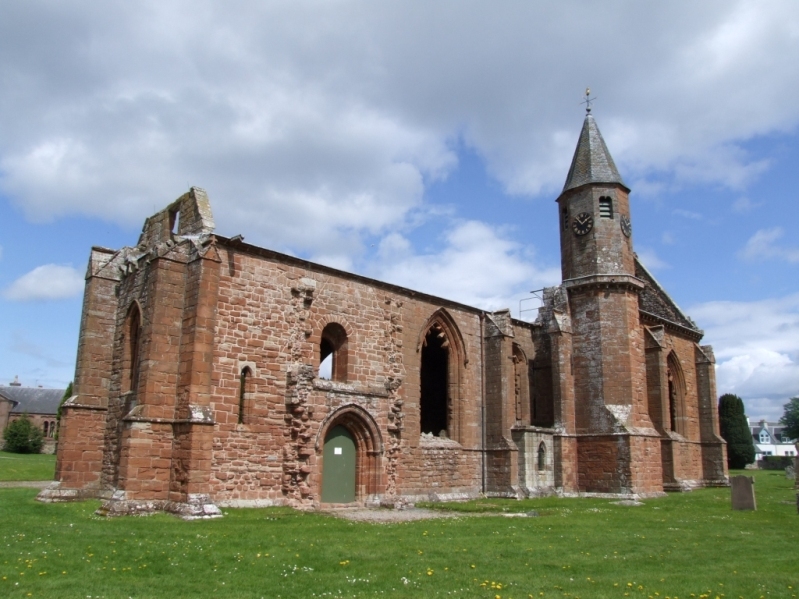 Situated 5 miles southwest of Nairn and 10 miles east of Inverness. 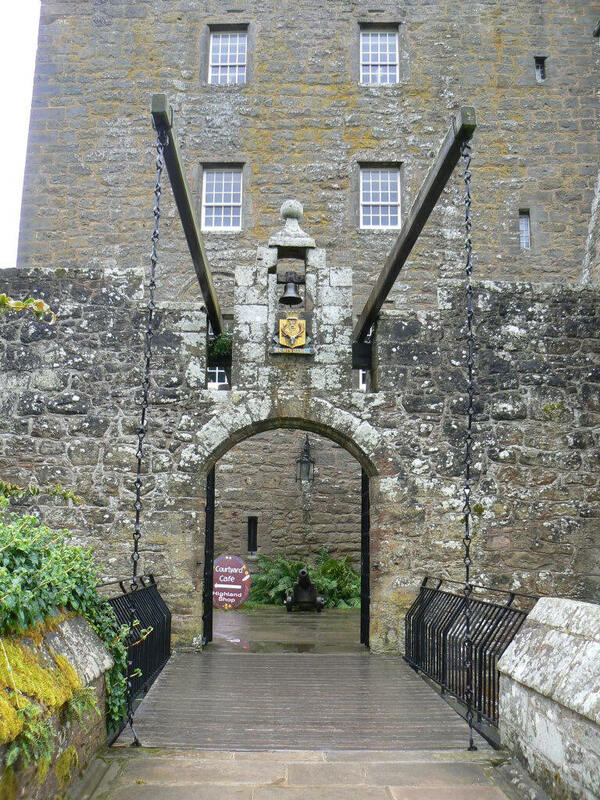 Cawdor Castle dates from at least 1454, this was the date when Willaim Thane of Cawdor was granted permission to build the first castle. Some architects think that the style of architecture predates 1454, and that the castle may have been built in the mid to late 14th century. The castle we see today is very large and the oldest part is the tower. 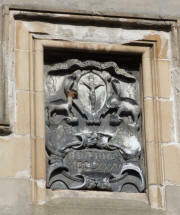 The castle has been extended many times during its lifetime, dates stones 1702, and 1884 are clearly visible above windows. Inside the castle can be seen beautiful furniture, fine art including portraits and landscapes, antiques and tapestries. 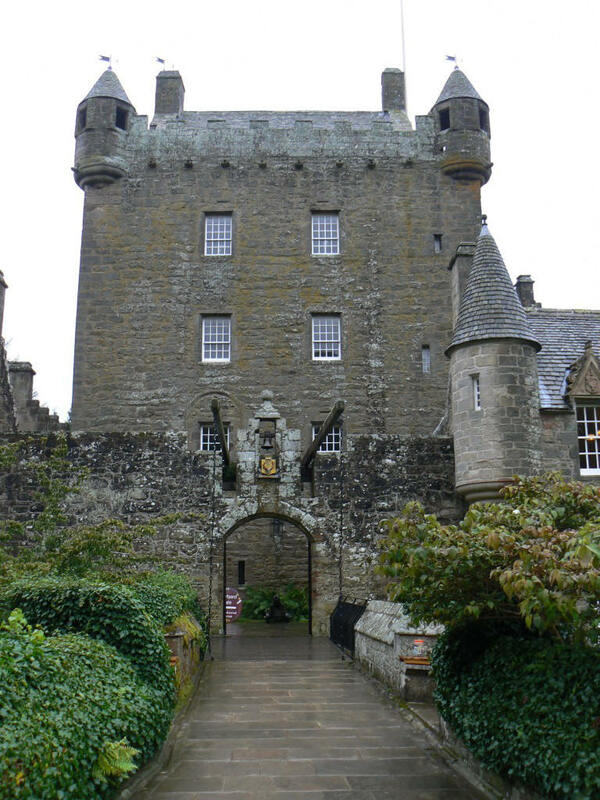 Cawdor Castle is well known for its wonderful gardens, these include a 17th century walled garden laid out in 1620, an 18th century flower garden laid out c1710, and a wild garden of the 1960’s. The castle grounds also include an ancient oakwood with a variety of trees known as the ‘Big Wood’, and it is also said to have over 100 species of lichen. The castle also has associations with Shakespeare’s play ‘Macbeth’. See http://www.cawdorcastle.com/macbeth.cfm. 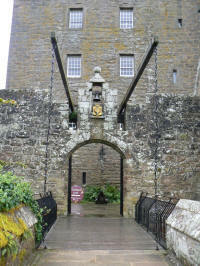 Cawdor Castle has retained its 5-Star Visit Scotland status for the 2012 season. (Text Stan Bruce, photos by Andrew Bruce, Sept 2012). 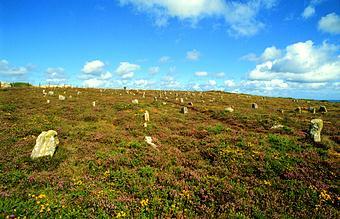 Two chambered cairns and a ring cairn in a row, each surrounded by a circle of stones. Of late Neolithic or early Bronze Age date. An extensive and well-preserved site in a beautiful setting. Two unexcavated long-horned burial cairns of Neolithic date, set at right angles to each other. A chambered burial cairn surrounded by a kerb of stone slabs, outside which is a circle of 11 standing stones. A fine example of a Hebridean broch, apparently occupied to the 18th century. A well-preserved broch, standing to a height of 22 feet above the entrance passage. 11 miles north east of Inverness off the A96, by the village of Ardersier. Built following the Battle of Culloden as a Highland fortress for the army of George II, it is one of the outstanding artillery fortifications in Europe and still an active army barracks covering 42 acres. Highlights include reconstructed barrack rooms of the 18th and 19th centuries and the Seafield Collection of arms. 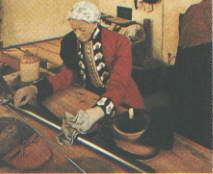 The 1780 room shows Private James Anderson, a soldier who served with the 42nd Royal Highlanders. In those days men slept two to a bed and every man in a hundred could have his wife stay in the barracks with him. Fort George is still an active army barracks which houses the Regimental Museum of the Queen's Own Highlanders, also open to the public, check for specific opening times. 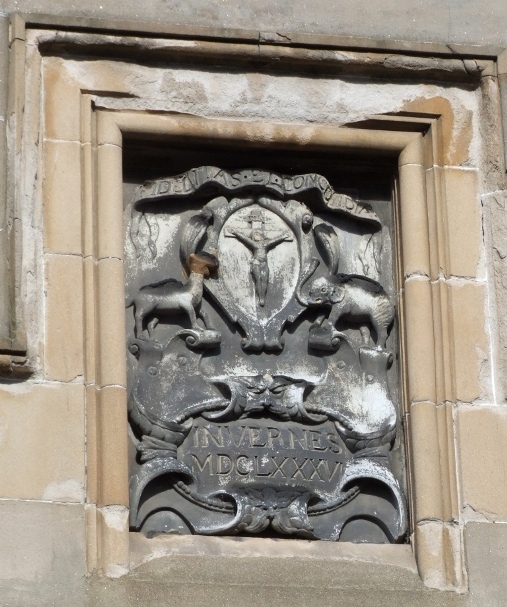 Following the Jacobite rising of 1745-6 which threatened the Hanoverian rule of the Scottish Highlands, King George II put up the ultimate defence against any further unrest. 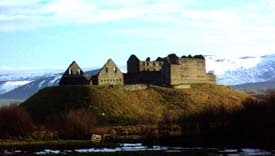 Built on a barren spit of land jutting into the Moray Firth at Ardersier, north-east of Inverness, Fort George is the mightiest artillery fortification in Britain, if not in Europe. 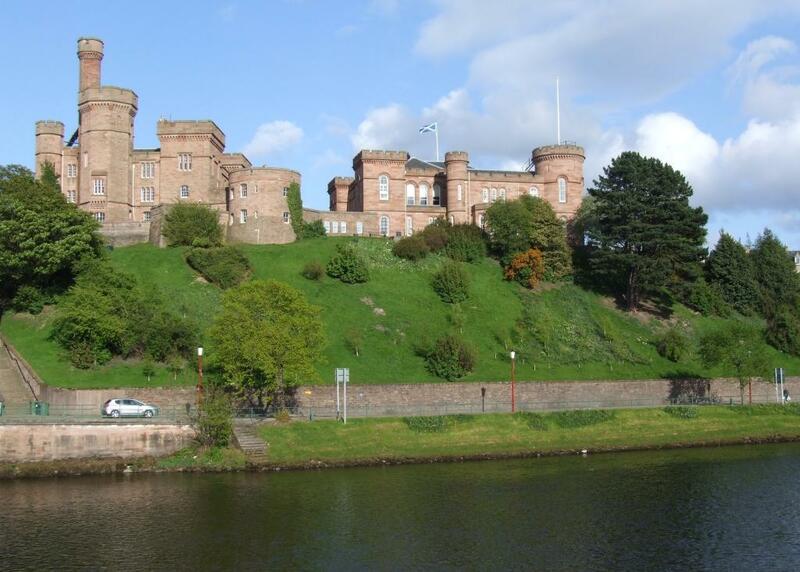 Its elaborate 18th-century bastioned defences and original garrison buildings survive intact. Almost a mile around, Fort George encloses an area of 42 acres (Edinburgh Castle would fit into its parade ground). Despite taking 21 years to complete and costing nearly £1 billion at today's prices, Fort George never saw a shot fired in anger. With its reconstruction of barrack-room and guard-room life, together with a fascinating collection of weapons including the Seafield Collection of arms, Fort George is a must-see on any trip to the Highlands and now the new restaurant offers the visitor an excellent opportunity to take a welcome break. 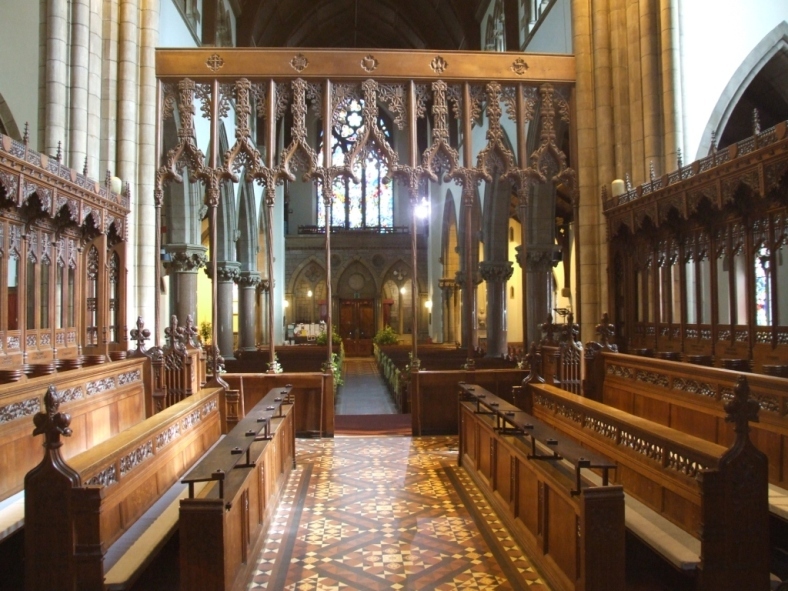 The surviving fragments consist of the 13th century vaulted undercroft of the chapter house and the south aisle of the nave, a vaulted structure of 14th century date, bothy finely worked, with two canopied monuments, and other interesting memorials. 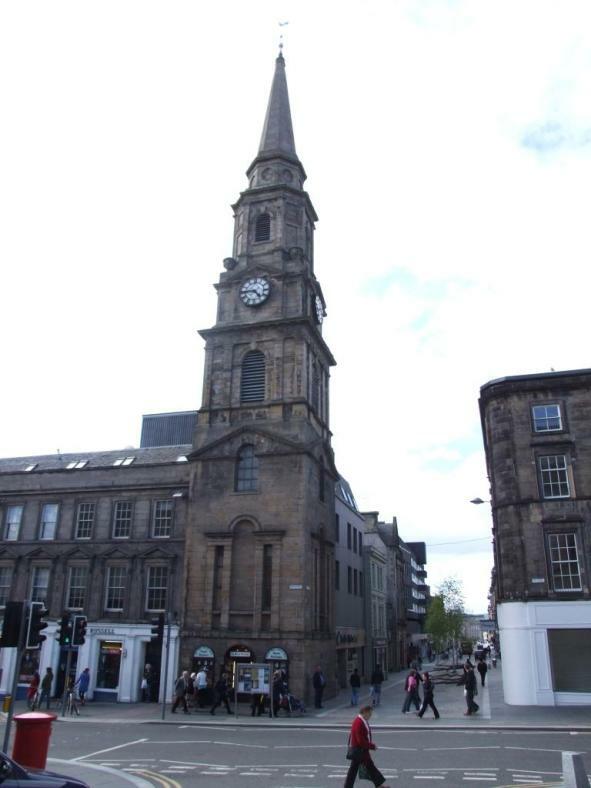 Two broch towers, standing over 30 feet high, with well-preserved structural features. Set in beautiful surroundings. Glenelg Brochs – Dun Telve and Dun Troddan. Two Iron Age Broch Towers, built about 2,000 year ago. Dun Telve (Grid reference NG82921726) stands over 30 feet high and Dun Troddan (Grid reference NG83401724) about 23 feet high. 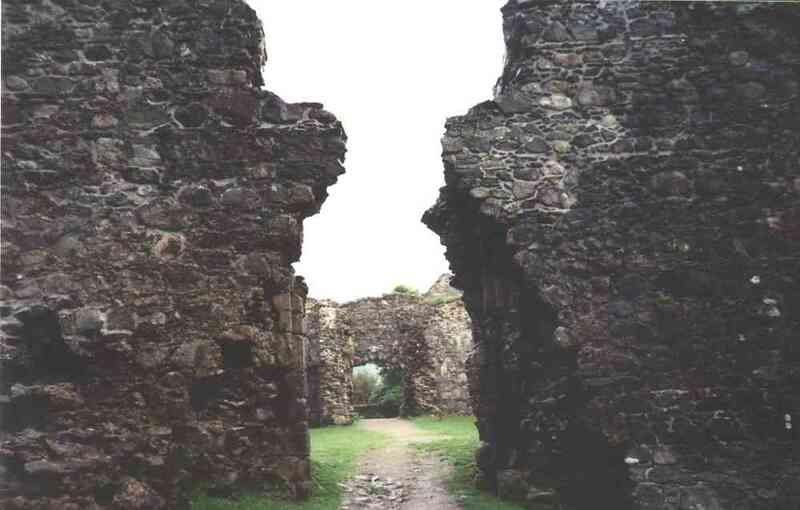 These both have well-preserved structural features and you can clearly see the double wall construction. Both of these Brochs are said to have been robbed for stone in 1722 during the construction of Bernera Barracks in Glenelg. These Brochs are set in beautiful surroundings, and are in the care of Historic Scotland. Open all year with free admission. 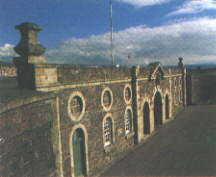 The barracks were constructed between 1717 and 1723 partly using stone from the Glenelg Brochs Dun Telve and Dun Troddan. It was built by the British Government to subdue the local population after the 1715 Jacobite Rising. This was a strategic site as it’s near the ferry boat to Skye which still operates today. The English troops withdrew from the barracks in 1797 and today stands roofless in ruins although category A listed by Historic Scotland. 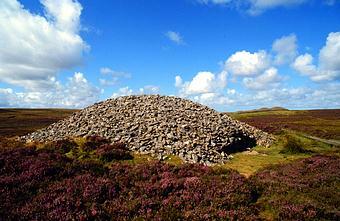 Two chambered burial cairns of Neolithic date. 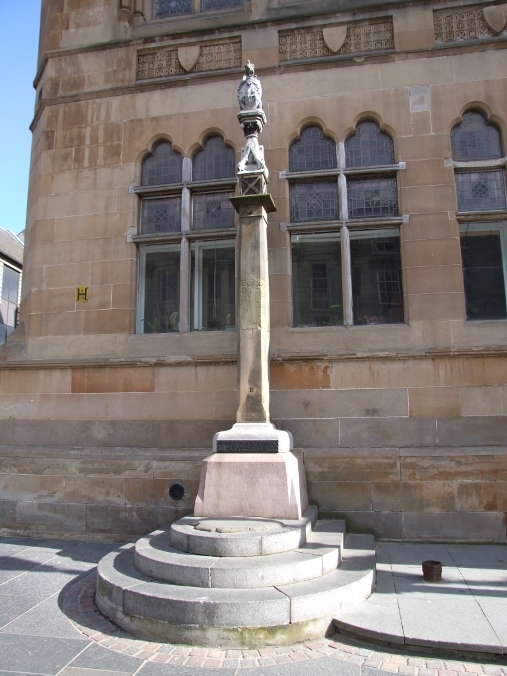 One is long, with two chambers and projecting 'horns' and the other is round, and contains a single chamber. More than 22 rows of low slabs arranged in a slightly fan-shaped pattern, which may have been a prehistoric astronomical observatory. The foundation remains of a small rectangular chapel building. A fine well-preserved 13th century castle of the Comyn family; in the formn of a square, with round towers at the corners. The largest tower was the donjon or keep. 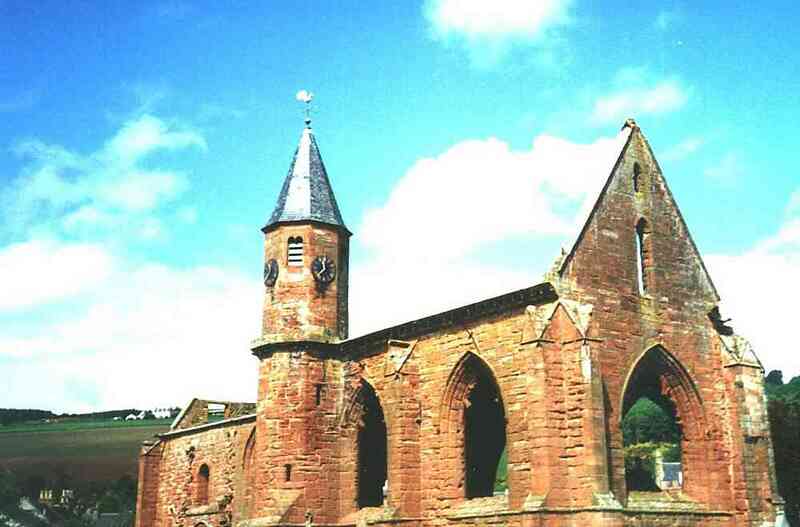 It is one of Scotland's earliest stone castles. Access is limited as major consolidation work is in progress. In Highland Regional Council Offices, Glenurquhart Road, Inverness. A rough slab incised with the Pictish symbols of a mirror-case and a wild boar. An infantry barracks erected in 1719 following the Jacobite rising of 1715, with two ranges of quarters and a stable block. Captured and burnt by Prince Charles Edward Stuart's army in 1746. 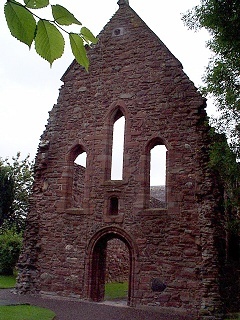 A simple dry-stone chapel, probably of 12th century date. 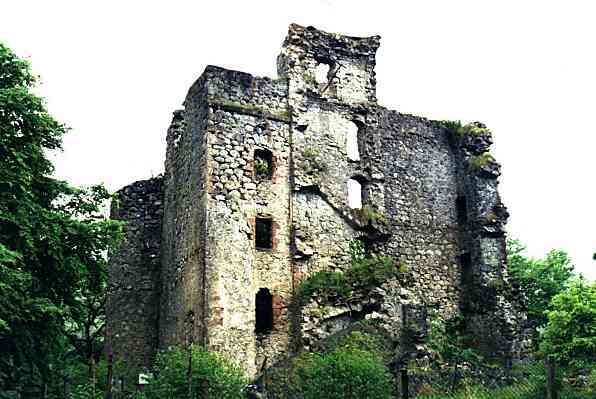 The remains of one of the largest castles in Scotland dominate a rocky promontory on Loch Ness. Splendid views up and down the Loch, a popular viewpoint for monster spotting. Winter, Monday to Saturday 9.30 am to 4.30 pm. Sunday 11.30 am to 4.30pm. Last ticket sold 30 minutes before closing. NH 315006 17th C tower house. Burnt by both Cromwell & Duke of Cumberland. View exterior only. 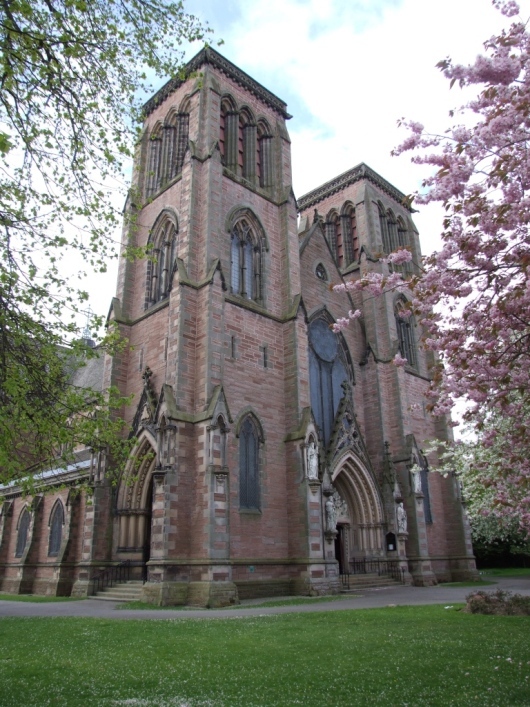 When Robert The Bruce's wife and daughter sought refuge here from the English army, the rules of sanctuary were ignored by the Earl of Ross, who seized them and handed them over to Edward I. Situated on the southern shore of Loch Carron about 1 mile east of the village of Plockton. 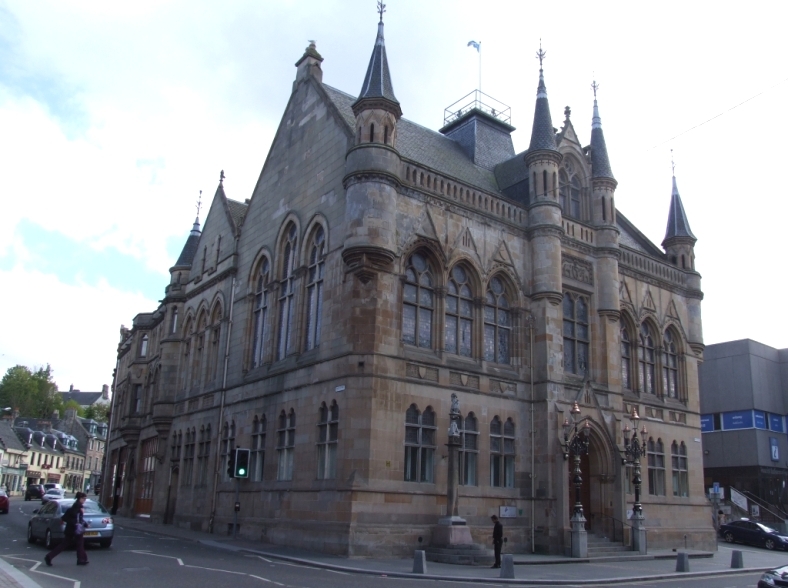 It was built in 1866 for Alexander Matheson, a Scottish businessman and Member of Parliament and is currently run as a hotel. Pics attached including Duncraig Castle across the bay. Follow the single track road north of Dunvegan Castle for 3 miles and you come to a car park. 1 mile walk along the shore takes you to this beautiful coral beach.